Home » Asian » MalaysianCupid, Malaysian Beauty Spot? Malaysia is one of those places where the women are as beautiful as the natural surroundings. It’s not surprising then that MalaysianCupid is a booming relationship site attracting on average 2,000 new joiners every day. MalaysianCupid provides you with everything you need to correspond with your new online friend. Including auto-translators, live messaging, and video cam. That being said, MalaysianCupid is open to all comers. Whether you’re looking for a new online friend, or your wife – you won’t find any limitations as to the kinds of relationships people are looking for. I came across young Malaysians girls and boys just looking for people to hang out with, they didn’t care where they came from or what their skin color was. Some just wanted to improve their English language skills, while others just hoped to get to know more about Western values. I met students, I met business people, and I met some people from the Army. If you’ve ever used other dating sites, I guess MalaysianCupid is along the same lines. After the cursory form on the front page, you’ll be asked to upload a photo of yourself. It’s not essential to do this, but if you’re sincere about meeting someone, it’s a very good idea to put one up from the start. What I was told through my personal connections is that Malaysian people are very visual. They expect to see at least a few good pictures. Personal profiles which are blank tend to get ignored or at best treated as suspicious. Once done, your own personal ad is visible to others on the site immediately. Sell yourself • I recommend you make the most of the space provided to put in some juicy facts about yourself. Make it light hearted, but enough so that people can get an idea about what type of person you are. Don’t pretend to be someone you’re not. It usually ends badly. It’s also good netiquette to say what kind of relationship you’re after. I spoke to several men and women on the website who said they’d spent time pursuing someone only to find out in the end that person only wanted a friend! I recommend you make the most of the space provided to put in some juicy facts about yourself. If you’re looking for a Malay bride you’ll need to buck-up your ideas. Ask a reliable friend to pick a few of your best photos and put them up. I came across many men who were trying desperately to find women, but their profiles looked shoddy to put it politely. No details, no photos, and a few one-liners in their “about me” particulars. Don’t be like them! Let people know you’re genuine and for real. 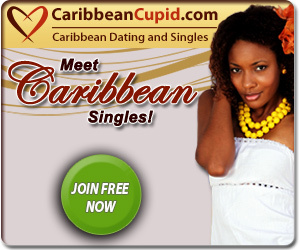 The best thing about Cupid sites is the super useful search engines which they provide to all members. These let you narrow-down the huge selection of Malaysian and worldwide singles on there to those which you could be romantically interested in. The search you’ll most often use is probably the quick search. This just gives a list of those people matching your preferred gender, age and location. But going beyond the realm of this is the advanced search which by and large lets you filter by all criteria that appear in other people’s personal questionnaires. Example • So just suppose you’re looking for Malaysian females, between ages 25-30 years old, who’re none smokers, and are slim build. You can search with these preferences as well as heaps of others to really get down to exact matches. Cupid Tags • I was surprised to find out that most singles prefer to search using “Cupids Tags”. These are labels people tag their profiles with, much like people do on Twitter or other social networking sites. This adds another dimension to your search system. It also lets people tag themselves to make a connection with topical things like events or holidays. One other thing I like about Cupid’s sites are the handy links they display on your own personal home page. These show you “popular links” which gives you instant access to the popular search pages like newest members, popular people, or in my area. Table 1: Member response rates from our survey. If you find someone, good on you. But don’t get too carried away before you speak to them face-to-face with webcam. I always recommend people do this within the first week or so. Just to make sure the other person is real and to prevent any nasty surprises. Don’t get too carried away with email letters either – this can be misleading. Many foreign brides have poor English, so these letters are often not even written by the girls, but more likely by their translators. You can do nearly everything as a free member bar talking to other free users. Unlike a lot of other dating sites, MalaysianCupid does allow you to chat with people before paying – provided that at least one of you has upgraded. Many foreign brides have poor English, so their letters are often not even written by them, but more likely by their translators. While it’s not out of the question to use the site for free, it means you have to wait around for other people to contact you first. This can take a long time. As well as not being able to talk to most singles on the site, it also means your profile is literally buried beneath thousands of paying users. I found upgrading to Gold increased the number of weekly emails I received by about nine times. As a free user, I was getting 1 or may 2 emails per week at best. This increased to about 15 per week after I’d upgrade. Even on low weeks I was getting 10-12 emails. Unlike most other dating sites, MalaysianCupid haven’t increased their prices this year. You can still purchase a full membership for less than $24 for three months. It gets even cheaper if you go for a longer period. Previous: FilipinoCupid, A Place for Dating Filipino Women? Summary : A premier spot for getting together with Malay women and men. MalaysianCupid is designed to bring people together, whatever their background, whether seeking marriage or a casual fling.